The 110 Series hasps are multi-hinged so they can be mounted around corners. All hardware is concealed and each section is boxed for more resistance against prying. They are heavier duty than the 200 Series and mate nicely with larger sized padlocks. Heavy duty. Hardened steel pins, links and staple. Concealed fixing holes. 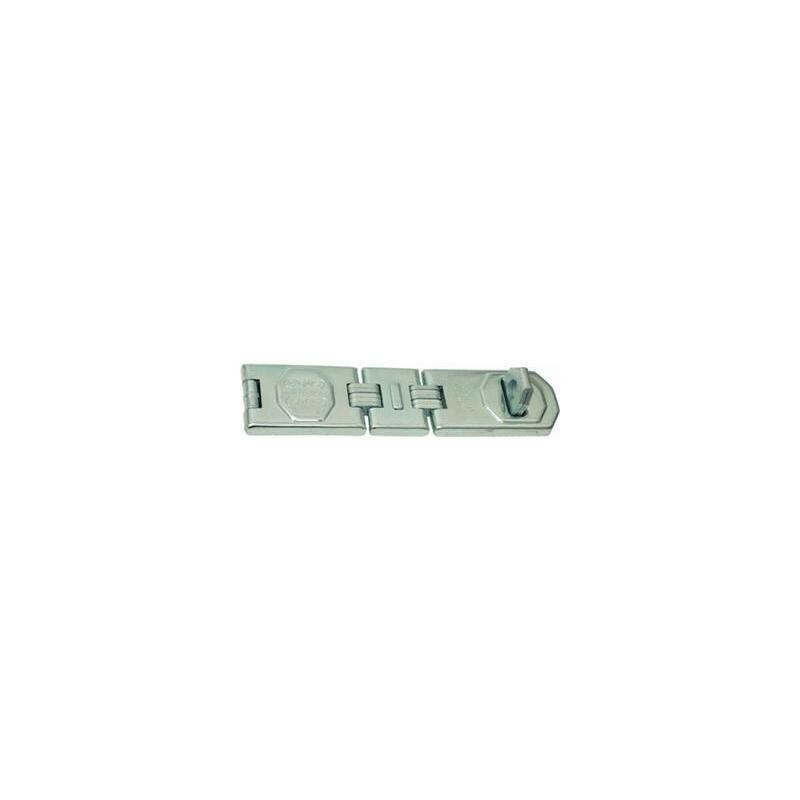 Concealed hinge pins. Hinged design allows fittings around corners or angles. Tough steel construction : With concealed hinge pins. 7-5/8"(193.7mm) Length: 110/195. 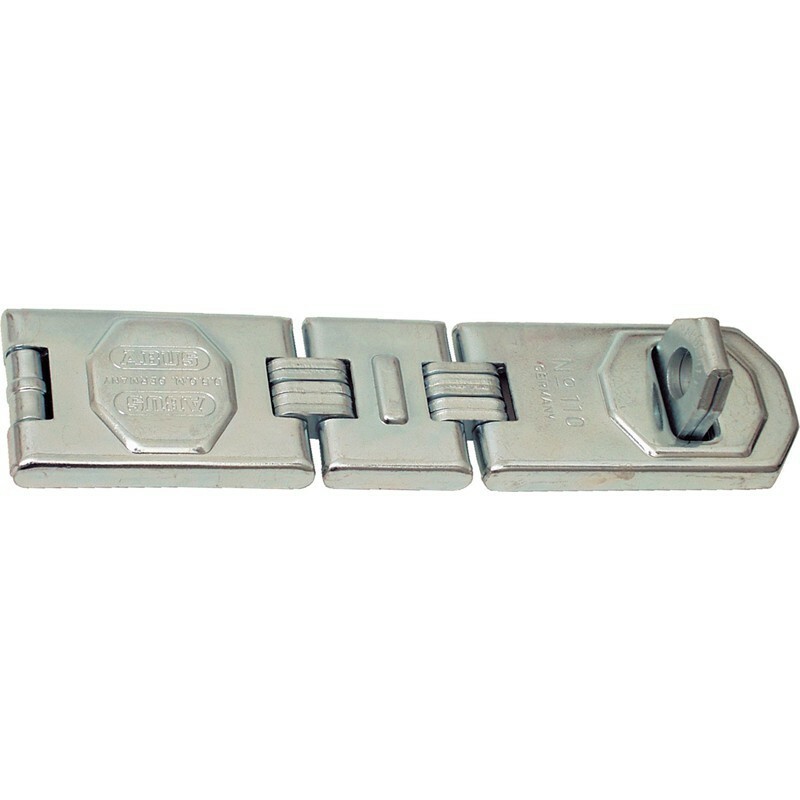 Accepts Shackle Diameter up to 1/2"(12.7mm).